Here is a short summary of my experience with coworking in Austin. With some I had great experiences, and with others not so much; one in particular missed the mark quite a bit. The least impressive experience was when I went to Space12 this morning. There was almost nobody there. It was me, a hipster guy, a janitor, and a deaf homeless lady in a dark, sketchy room in a dangerous part of town. I left after about 30min, and only stayed that long because I didn't want to be rude. I'm 99% sure I saw a few gang members in the parking lot. It was the most affordable (donation based, $10 suggested) but you get what you pay for…or less to be honest. Oh wow, I just realized I forgot to pay while I was there. Oops! A few days ago I went to Link Coworking where I met some nice people but it is too pricey in my opinion. You have to sign a year long contract (otherwise you pay an extra $50 a month on top of the $300 a month price tag), although the space was cool, clean, and well lit. Unfortunately, it just doesn't suit my needs because of the cost. I only want somewhere to go for a few hours twice a week. If they had more flexible membership options, like day passes or a part-time membership, I would be tempted to sign up. Plus it's only 5 minutes from my house, has plentiful parking, and great restaurants. 20-30 minutes from my house, depending on traffic, is Conjectured. So far it's my favorite despite the distance. 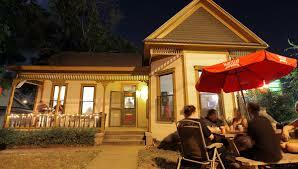 It has a homey, laid back vibe and is a safer area. It is also near 6th street and near lots of great food trailers. Everyone seems very friendly and nonjudgemental, and it feels more like a family atmosphere rather than a business. Posh Coworking is on Lamar and also not too far from my house. I went to a launch party there but have yet to try their coworking. It's got affordable pricing (starts at just $75 a month) but it's all women and a has a way too feminine design for my taste. I'm sure some women like that sort of thing but I prefer a more unique and casual crowd (and not to be sexist, but I'd like to have men around because they tend to be much better at technical stuff. Pink walls, chandeliers, and Baroque furniture aren't particularly conducive to my creativity. Lastly is Vuka. I was very unimpressed with them. Parking is limited and the space inside is dark. The chairs and couches were very uncomfortable, and I don't like the fact they use the building for at least 5 other businesses and things (bar, event venue, yoga, etc). It isn't a great or relaxing place to work and the snooty condesending front desk girl didn't add much either. Oh, and it is supposed to be free on fridays but when I got there they said they "just got rid of that" and that I would have to pay. Didn't have much of a choice since I drove almost 30min to get there!